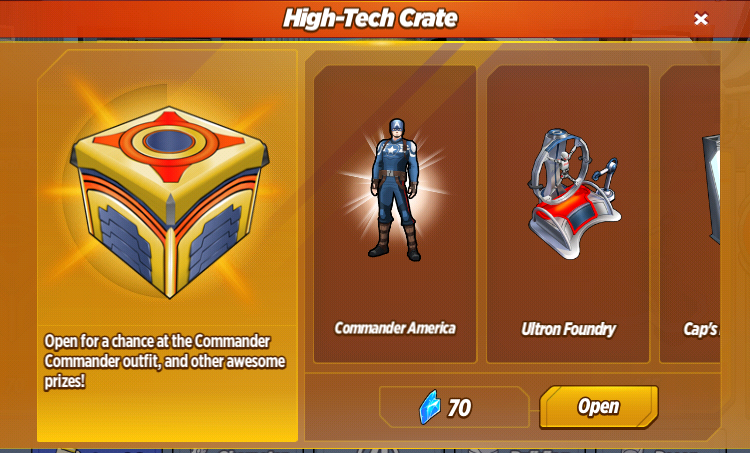 Alongside the Ultron Special event, TinyCo has also dropped another crate into our shops - the High-Tech Crate! 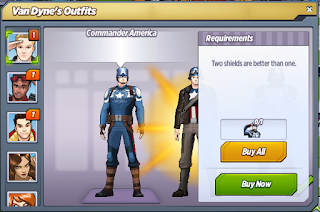 It costs 70 Shards per try and contains a new outfit for Cap, some new decos and several helpful items for the A-Force Special event! Iron Man: It's an energy shield that's contained in the device around your wrist. All you have to do is touch the button, and the shield will expand from the emitter. Iron Man: The S.H.I.E.L.D. Recruits need you leading the charge. 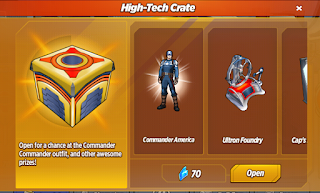 Ultron's body is made of pure Vibranium, so your old shield will just bounce off. This new one should do some damage. Iron Man: Go get 'em, Commander America. Commander America: Yeah. Wasp modified my old uniform, and Tony built me an energy shield. 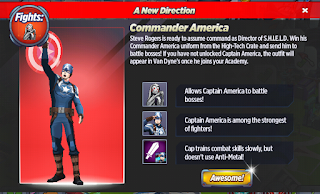 Commander America: Can you say something else, Phil? 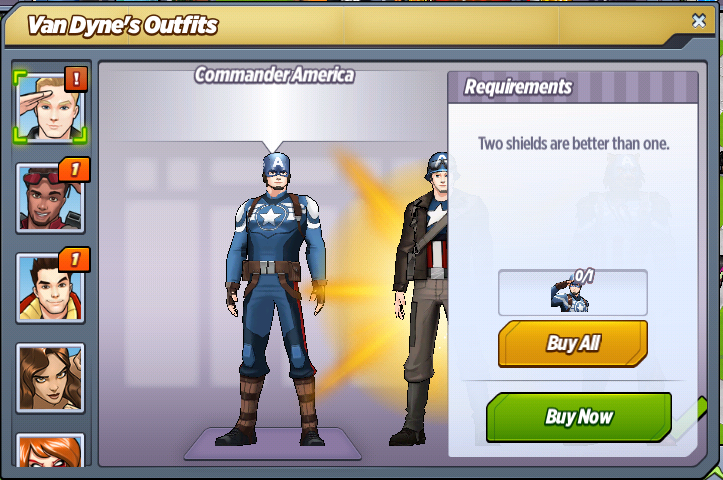 Phil Coulson: Can I have your original shield?